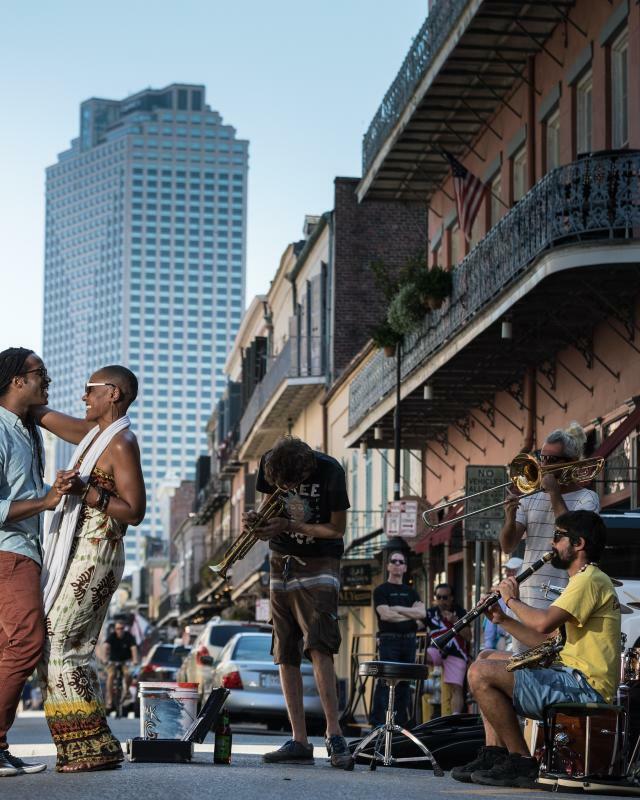 New Orleans lives and breathes its European roots in many ways and architecture is no exception. Hispanic-Gallic traditions are apparent in every neighborhood and townhouses throughout the French Quarter are said to be related to certain Parisian "hotels" with their courtyards and carriageways. Visitors particularly remember the decorative cast-iron balconies that cover many of these townhouses like ornamental filigree cages. Creole cottages and shotgun houses are common sites throughout many New Orleans neighborhoods, although both have a murky ancestry. The Creole cottage, two rooms wide and two or more deep under a pitched roof with a front overhang or gallery is thought to have evolved from various European and Caribbean forms. 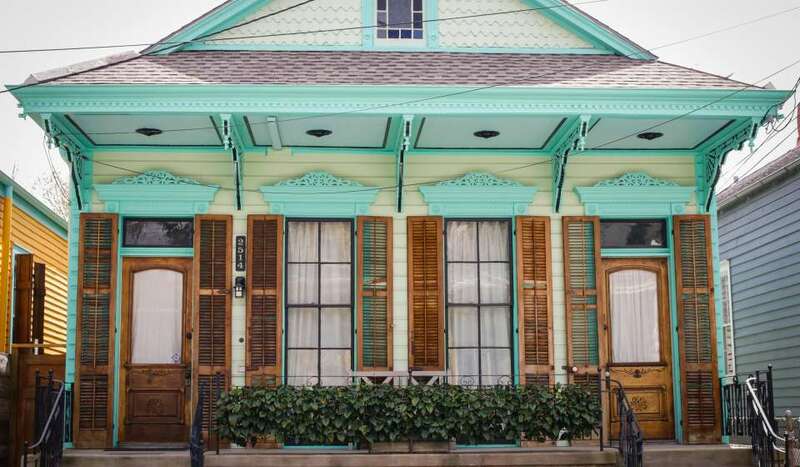 The shotgun house is one room wide and two, three or four rooms deep, under a continuous gable roof. Legends say the name was suggested because the rooms and doors align so one could fire a shotgun through the house without hitting anything. The sheer number of historic homes and buildings per square mile is astonishing. Consider this: Uptown, the City's largest historic district, has almost 11,000 buildings, 82 percent of which were built before 1935. In addition to shotguns and cottages, mansion inspired by various styles such as Greek revival and Queen Anne Victorian fill the Garden District. Following the Louisiana Purchase, invading Americans were at odds with locals and fled upriver from the overpopulated French Quarter to build their own residential neighborhood as the economy flourished with the cotton trade, rail commerce and national banks. Many of these gems can be viewed from quick ride on the St Charles Avenue Streetcar but the extravagant homes can be found throughout the Uptown and Garden District neighborhoods. New Orleans' architectural character is unlike that of any other American city and is adored by both natives and visitors. With such variety, even after many years of study one can still find things unique and undiscovered. European influence is also seen in the city's famous above-ground cemeteries. The practice of interring people in large, richly adorned aboveground tombs dates from the period when New Orleans was under Spanish rule. These hugely popular "cities of the dead" have been and continue to be an item of great interest to visitors. Mark Twain, noting that New Orleanians did not have conventional below-ground burials, quipped that "few of the living complain and none of the other." "You can tell a great deal about a community by the way they honor their dead, and without meeting any of the people of New Orleans, yet I can tell you I know I'm going to like them, for very few cities that I have visited throughout the world honor the dead as they do here." 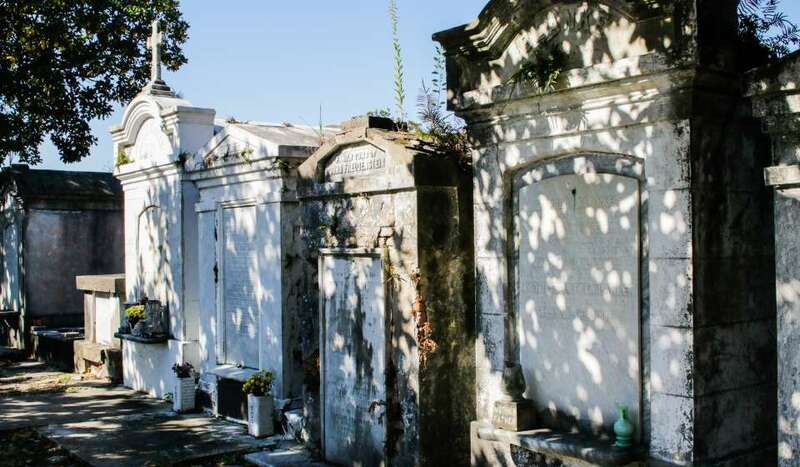 There are 42 cemeteries in the metropolitan New Orleans area. All feature family-built tombs capable of interring as many as a dozen deceased. The largest cemetery is Lake Lawn Metairie Cemetery and very definitely worth a visit to view incredibly beautiful tombs set in lovely garden areas and topped with handsome sculpture. Another notable "city of the dead," St. Louis Cemetery No. 1, was the fourth to be built in New Orleans. It was laid out in two squares with a third square set aside for the burial of African-American Catholics. Such notable African-Americans as voodoo queen Marie Laveau, members of the Sisters of the Holy Family, and former mayor Ernest "Dutch" Morial are buried here. Built in 1835, the historic St. Charles avenue streetcar line represents the only surviving historic streetcar system in the country. After trying a variety of power sources, the first cars to use overhead electricity, the same that is used today, went into operation in 1893. The St. Charles Avenue line was declared a National Historic Mechanical Engineering Landmark in 1984. Canal Street is a historic thoroughfare that has been vital to New Orleans transportation for more than two centuries; from mule-driven carriages in the 1860s to the development of the electric streetcar prominent in the 1890s. The modern cars were built by a special team of RTA blacksmiths, carpenters, electricians and mechanics to resemble the original models still used on the St. Charles Avenue Line. 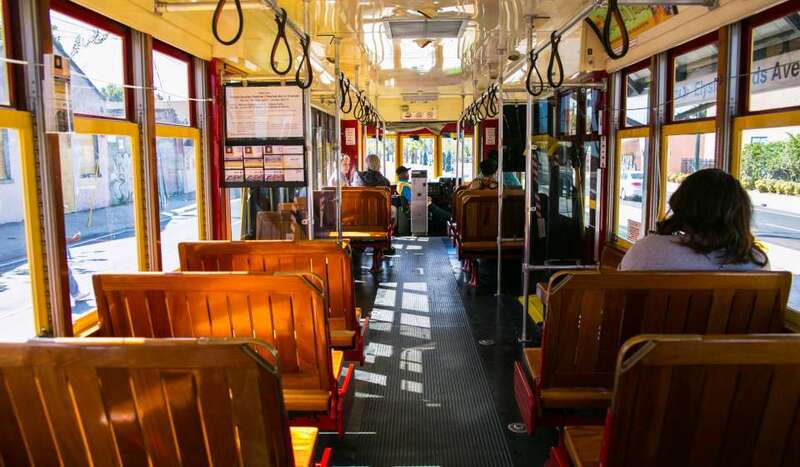 The Riverfront Streetcar was a dream for developers, business people and streetcar enthusiasts to tie together commercial elements of the Warehouse District and riverfront developments in the French Quarter and Faubourg Marigny neighborhoods. Today, visitors and locals alike ride from shopping at the French Market to visiting the Audubon Aquarium, Riverwalk Shopping Center and Ernest N. Morial Convention Center. The Loyola Ave. Streetcar is the newest streetcar line that links the Union Passenger train terminal, the Hyatt Regency Hotel, the Mercedes-Benz Superdome, City Hall, the public library and downtown hospitals. These links connect the Sports District to the Central Business District, French Quarter and Warehouse District. New Orleans and surrounding areas are known for a variety of cultural trends and products. 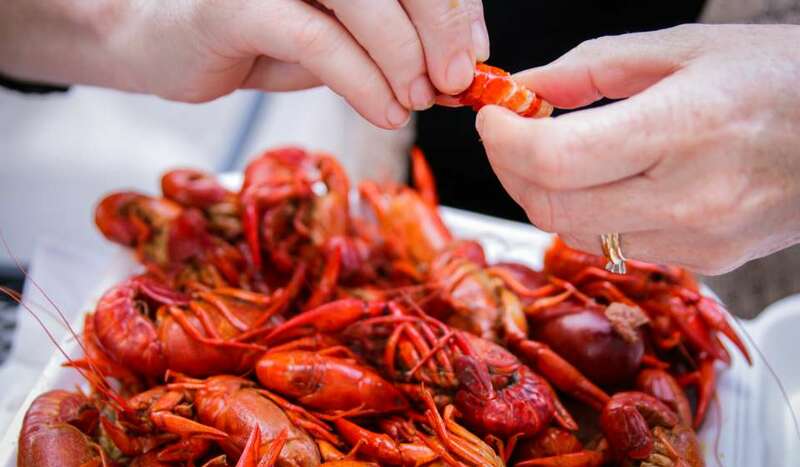 Creole and Cajun food have proven to inspire popular seasonings and mixes including Tony Chachere's, Zatarain's and McIlhenny's Tabasco sauce. The products that come from South Louisiana are desirable all over the world because they have a special personality. Our people live to eat and the food, like the people, is never boring. Our beers, teas, coffees, candies, spice blends, condiments and even potato chips are found in grocery stores and specialty markets across the USA and, in some cases, around the world. Look for some of these products the next time you're in a supermarket and want to escape the humdrum in your kitchen. Abita Beer is brewed with pure water from their nearby namesake, Abita Springs. Aiming for the import and premium beer-drinking market, the master brewers at Abita produce seven varieties for everyday consumption - including Golden, Amber, Turbodog and Purple Haze - as well as twelve different seasonal and harvest varieties - including Mardi Gras Bock, Christmas Ale, Fall Fest and Grapefruit IPA. For the younger crowd and teetotalers, Abita brews a root beer using Louisiana sugar cane as its prime sweetener. In New Orleans, we do coffee different - we blend it with chicory to make it stronger and smoother. Our local coffee and tea producers include Community Coffee and Tea (known for their cozy coffee houses), French Market Coffee, Luzianne and New Orleans Coffee Company. Luzianne, started in 1903 with ground, ready-to-brew coffee, is now the second largest independent coffee company in the country. Kitchen staples, like Crystal hot sauce, Tabasco, Tony Chachere's and Zatarain's, come from the hot and spicy traditions of southern cooking. Many of these local products were developed in the 1800s and have grown to be exported to nearly 100 countries around the world. Rice, French Bread and King Cakes are the backbone of New Orleans cooking. Mahatma and Watermaid are popular local rice brands that are consistently used in red beans and rice, jambalaya and gumbo recipes around the city. When making a po-boy, there is no substitute for G.H. Leidenheimer French Bread. After a cup of gumbo and a po-boy, the only proper way to finish a meal - at least during Mardi Gras - is with a big hunk of king cake. Whether it's from Haydel, Gambino or Randazzo, this combination of flour, butter, eggs, sugar and cinnamon is sure to satisfy. Just don't eat the baby! The lucky individual who finds the plastic baby hidden in the cake is traditionally responsible for providing the next king cake. 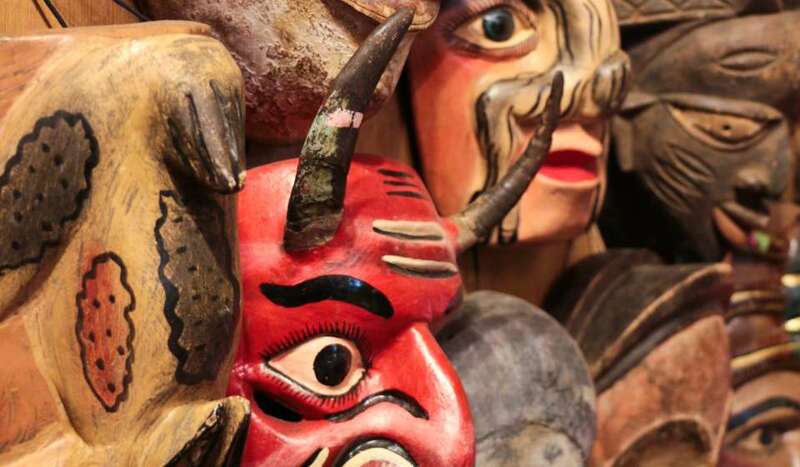 Mentioning the word Voodoo often conjures images of devil worship, grotesque dolls stuck with pins and dark magic. This is far from reality. Followers of this ancient African religion believe in one god and the search for a better understanding of the spiritual aspects of life- similar to many other modern faiths. Voodoo existed for many years in Africa as a rich part of the cultural fabric. African slaves in the Caribbean islands during the 19th century were banned from practicing Voodoo. It didn't take them long to realize the parallels between Voodoo and Catholicism and begin mixing and mirroring traditions and ceremonies. Voodoo, in its own way, was the common thread of survival among the slaves. Marie Laveau, a hairdresser by trade, knew when to talk, and when to listen. When she entered the homes of some of the richest and most powerful women in the city, they would reveal the deepest and darkest secrets of their families. If knowledge is power, Marie Laveau had all the makings of a great and powerful figure in the City. By 1830 she was the undisputed Queen of Voodoo in New Orleans. Part theatrical dramatist, part mystical agent and part spiritual leader, Laveau caused Voodoo to be incorporated into New Orleans' rich cultural tapestry for decades. She borrowed heavily from Catholic tradition, including ritualistic elements such as incense, holy water and prayer, and injected a wealth of showmanship, mysticism and sensuality into ceremonies. It is a powerful legacy that moves many New Orleanians to honor her life and work every June 23, on St. John's Eve, the night believers think the Voodoo Queen's spirit rises. Marie Laveau's grave in St. Louis Cemetery #1 on Basin Street is visited and meticulously maintained by legions of followers, who still place offerings there, including food or various symbols of Voodoo. One ritual that still lives on is the marking of her tomb with chalk in the shape of a cross or an X.